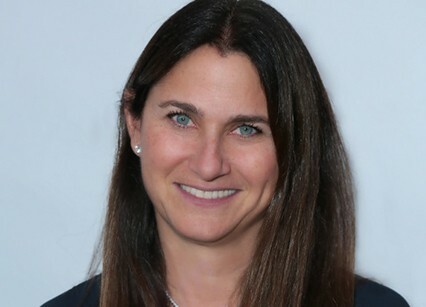 Liza Chasin (Producer) founded film and television production company 3dot Productions after a 26-year career at Working Title Films, culminating as the president of US Production. 3dot has a first-look television deal with Anonymous Content. A graduate of Tisch School of the Arts at NYU, Chasin began her career in the entertainment industry serving in various capacities at a number of New York-based production companies. Chasin first joined Working Title in 1991 as director of development and was elevated to the role of vice president of production and development, becoming the head of the Los Angeles office and overseeing the company’s creative affairs in the United States in 1996. Currently Chasin is executive producing the “Untitled Roger Ailes” limited series for Showtime and Blumhouse, written by Tom McCarthy and starring Russell Crowe, Naomi Watts, Seth MacFarlane and Sienna Miller. Most recently, Chasin executive produced “Mary Queen of Scots” directed by Josie Rourke and starring Saoirse Ronan and Margot Robbie; “Darkest Hour,” directed by Joe Wright and starring Gary Oldman, which won a Golden Globe for Oldman’s performance and received 6 Academy Award nominations, including Best Picture; Edgar Wright’s Golden Globe and Academy Award-nominated “Baby Driver,” starring Ansel Elgort and Jamie Foxx; the Golden Globe and Academy Award-nominated “Victoria & Abdul,” directed by Stephen Frears and starring Judi Dench; “7 Days in Entebbe,” directed by Jose Padilha and starring Rosamund Pike; “Johnny English 3,” directed by David Kerr and starring Rowan Atkinson; and soon to be released, and James Marsh’s “King of Thieves,” starring Michael Caine, Jim Broadbent, Tom Courtenay, and Ray Winstone. Chasin currently sits on the leadership council of TIME’S UP, an organization that insists on safe, fair and dignified work for women of all kinds. She has two daughters and resides in Los Angeles with her husband.